Red is the colour of prosperity. Every Chinese New Year, you slip into your bright red clothes and undies, and find yourself raking in cash at the mahjong table faster than a Marvel movie makes money. The red works! Surely there has to be something more you can do with the colour red to extend your good fortune. Here’s a suggestion — place yourself at somewhere red. 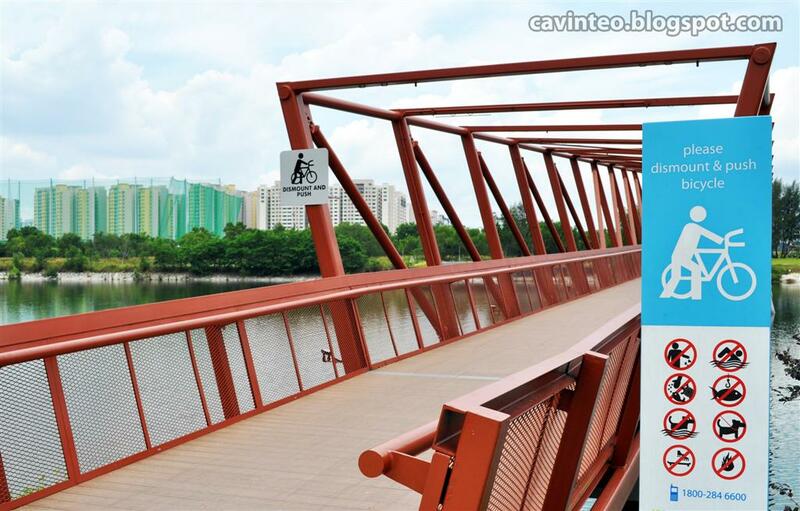 Presenting 8 places in Singapore that are probably red enough for that endeavour. Although we’re not really sure what you might want to do there. 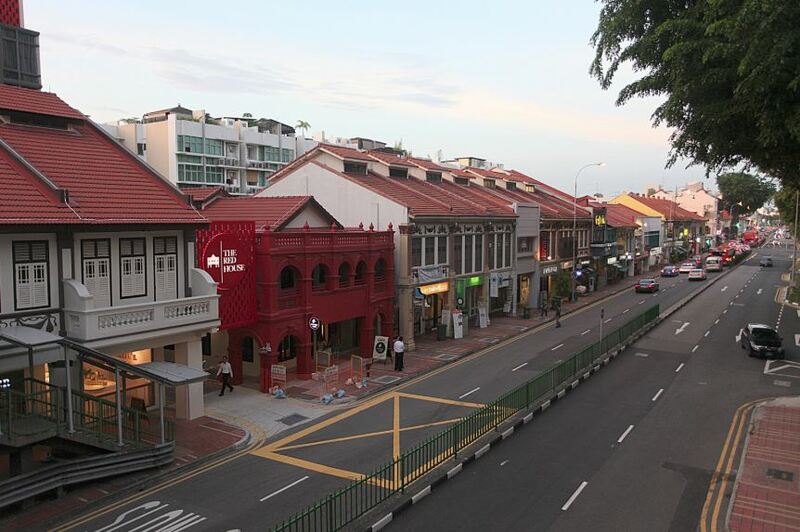 Snazzy shophouses along the street, who’s the reddest of them all? Goes without saying — The Red House. 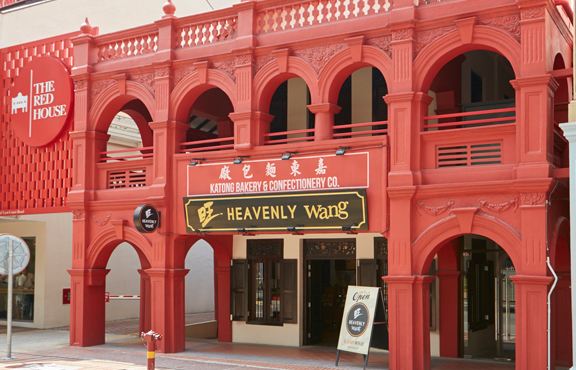 The aptly-termed shophouse was once home to Katong Bakery & Confectionery. The bakery, however, was closed in 2003. More than a decade later, the rose of the row opened its doors once more, back in 2016. Behind the outlandish red facade sits Heavenly Wang. We don’t mean the deity – if there’s even one – but the café. You know, the one that sells Kaya toast and Kopi and everything that makes a deeply satisfying breakfast. So anytime you’re bored rubbing yourself against the red pillars trying to ‘absorb’ more luck, there’s always the option of taking a coffee break inside. This next one isn’t as red, but has just enough red for your prosperity-seeking shenanigans. 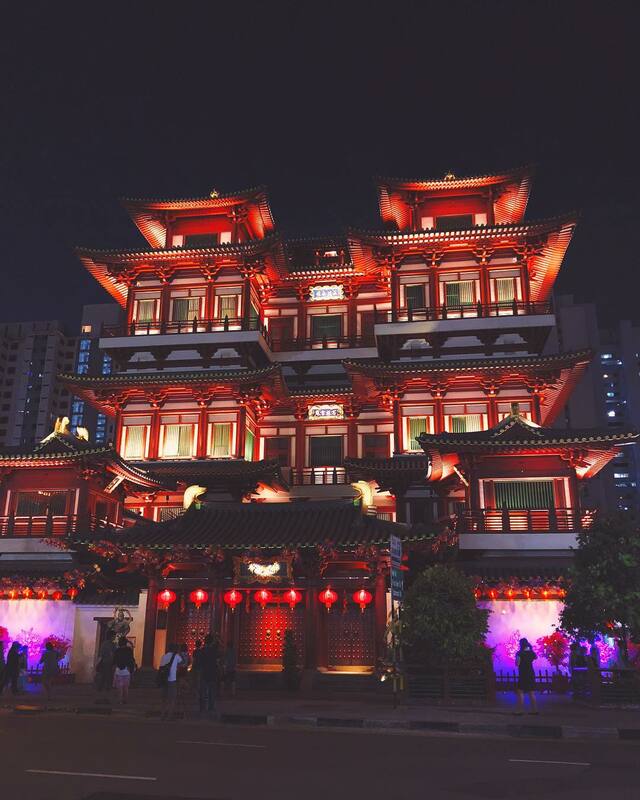 The Buddha Tooth Relic Temple follows the Tang dynasty architecture, with firebrick red running across the pillars, tiles, fences and frames of windows and doors. The temple opened in 2007 and houses a ceremonial space, a tea house and a museum containing about 300 Buddhist artifacts. 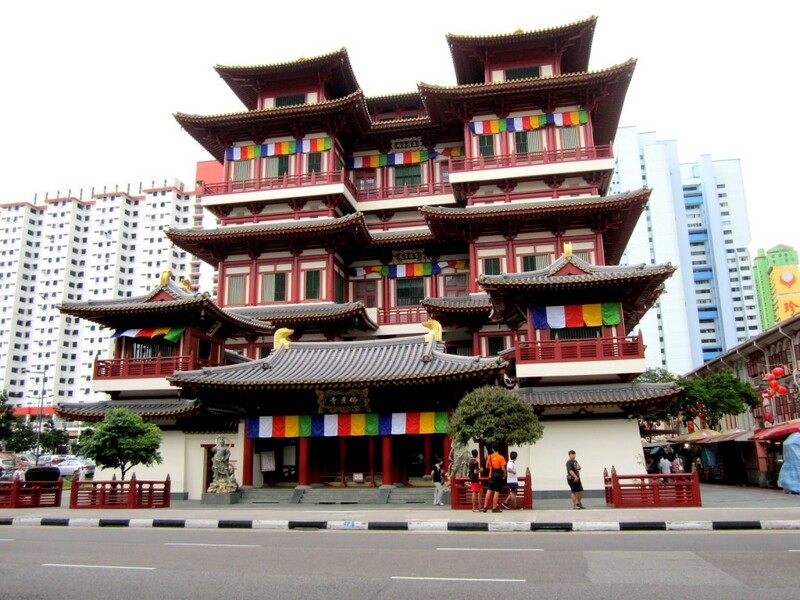 A perfect place to educate yourself on Buddhist traditions. But all that hardly matters, because what you’re really there for is the red — or should we say, the ‘huat’. In case you’re afraid the red disappears at night — it doesn’t. Since it’s a temple, there may be a chance for extra ‘huat’ points. Just remember to be mindful of the other people inside. Next on the list of red-ventures will take you closer to nature. 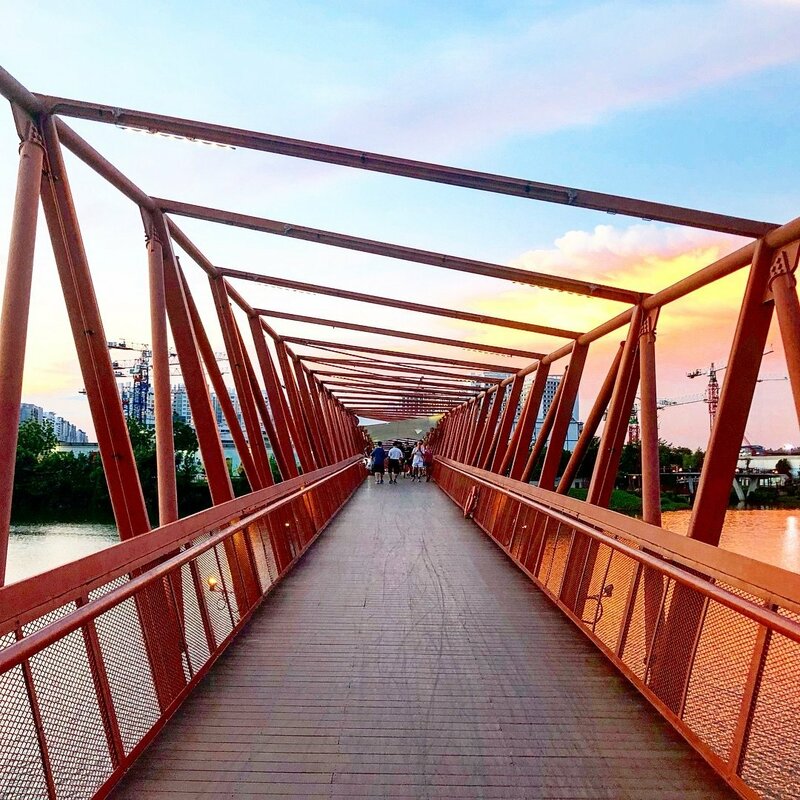 Lorong Halus Pedestrian Bridge stretches like a vermilion caterpillar over the Lorong Halus Wetland. The wetland is part of the Serangoon Reservoir and acts as a natural purifier so dirty water doesn’t get into the reservoir. 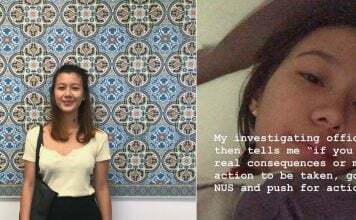 The bridge lets you marvel at beautiful sunsets, the calm shimmering water, the metallic Serangoon Tidal Gates, and of course, the occasional white stain on your shoulder because you know, uncivil birds. But don’t let the view or the accidental sky-borne excretion distract you from your mission — to imbibe those prosperous red vibes. No cycling, swimming, fishing, feeding, pet-walking, skating or starting fires are allowed on the bridge. This means no fire-breathing, flame-throwing or whatever else you might want to do with fire. Besides, fire is more orange than red. Not exactly helpful to your cause. This one is a little bit stingy with the red, but we’ll let it pass. 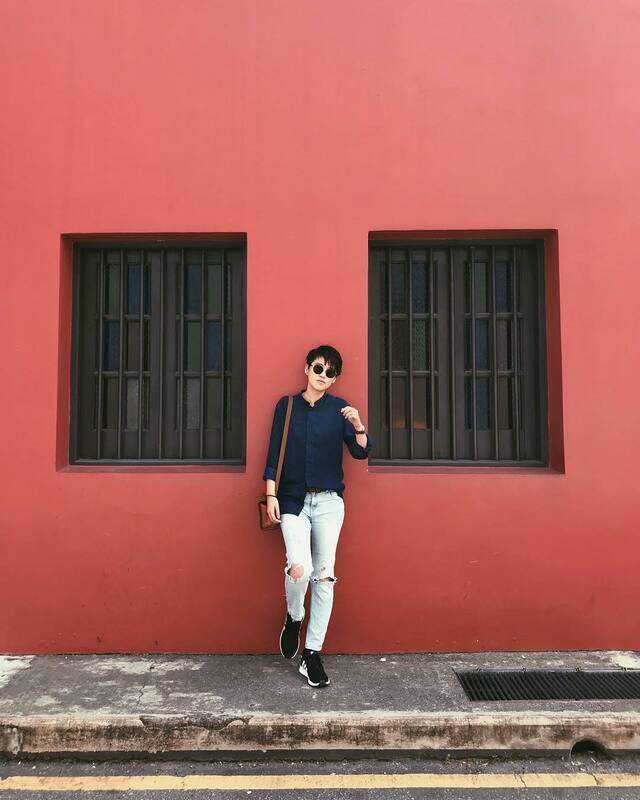 Emerald Hill has a large red wall which you probably can’t find anywhere else. What do you do when there are unadorned, minimalist-looking red walls? You take pictures. With yourself in them. Doing something cool…like looking away. With knees bent. Or looking at your watch. Or at some random person who you probably shouldn’t look at for too long in case he’s one of those ‘stare-means-invitation-to-fight’ kinda guy. 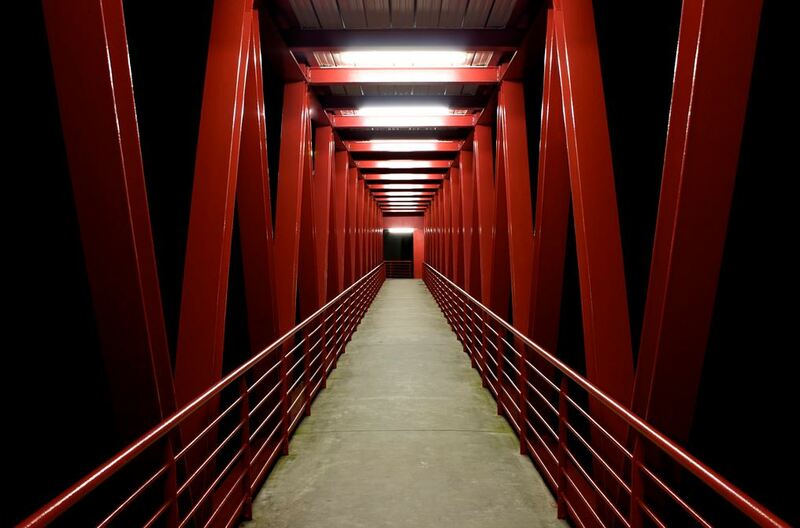 Determining the prosperity-endowing level of the Red Bridge is tricky. No, it isn’t because you can’t enter Singapore Polytechnic looking like a haggard 50-something. But because the blood-coloured bridge has a history of spook — hardly an auspice. 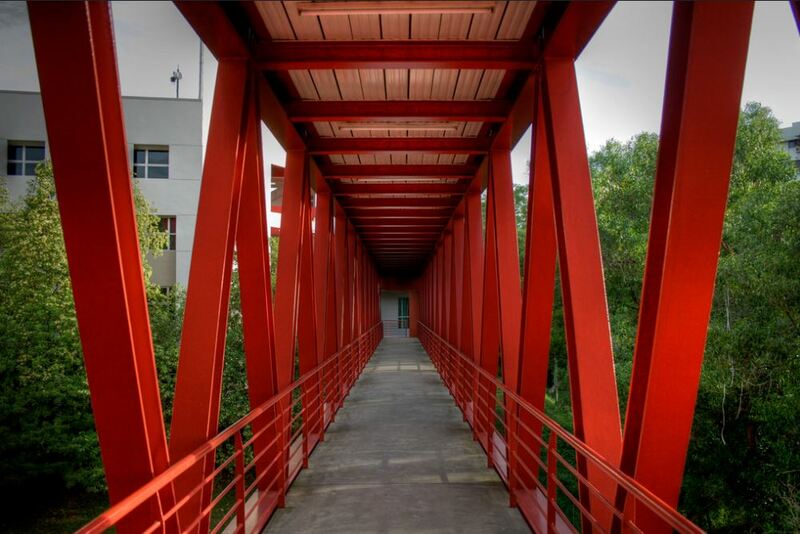 Legend – or some really mischievous and imaginative students – has it that the bridge was painted a dark shade of red to conceal the blood stains of a student who had killed himself/herself on the bridge. Here’s how it looks in the night so you can more easily imagine the spooky story playing out. 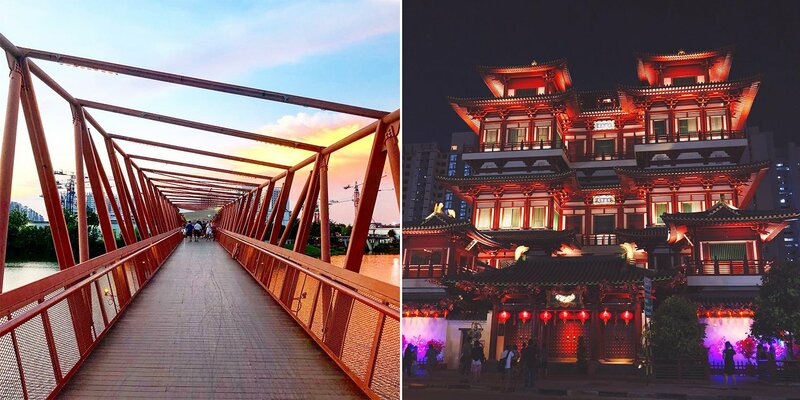 We’ll leave you to decide if you want this bridge included in your relentless pursuit of all things red this Chinese New Year. Chinese New Year is synonymous with firecrackers — at least it used to be when I was younger. At this next place you won’t have to worry about someone accidentally brushing a firecracker against your sleeve and setting you into that stop, drop, roll dance. 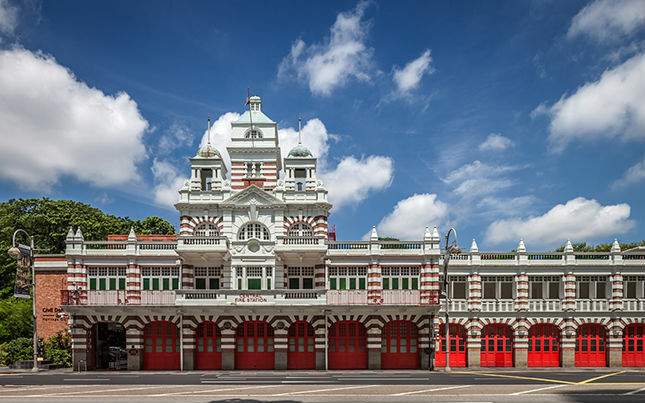 The facade of the Singapore Central Fire Station leaves little doubt why its often called the country’s most iconic fire station. The post-colonial style building was completed in 1909. It was originally painted a forest green to conceal it from Japanese bombers during World War 2. Unfortunately, the camouflage failed and the building was hit several times. But today, it stands pristine and functional, with firefighters ready to respond to accidental blazes in CBD and Chinatown area. 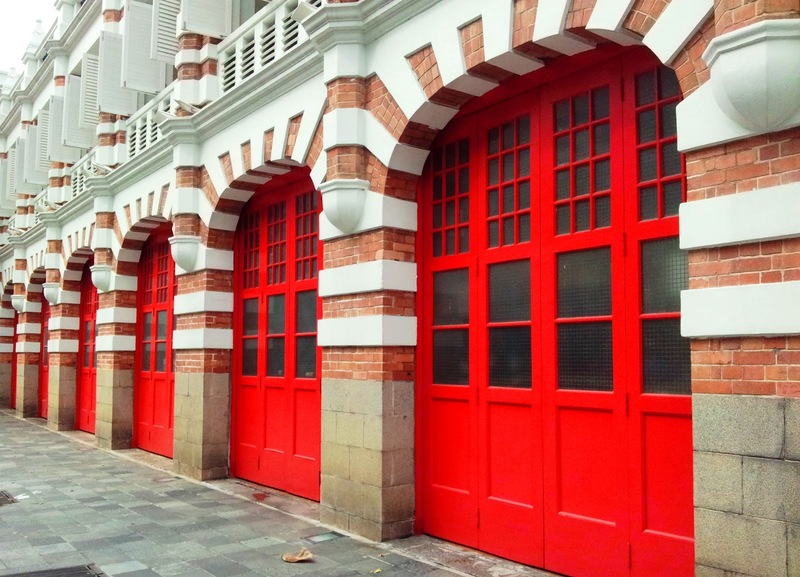 The red doors are a deep, vibrant red. That could mean more prosperity. Since it’s a fire station, you might want to get your mineral water bottles blessed at the gates. Then bring it home and take a sip every time you’re getting dealt a hand or picking up a tile. A common post-CNY complaint is that your belly’s circumference has grown. 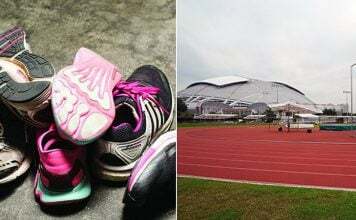 Why not prepare for that unwelcome gain with some exercise at Jurong Gardens? 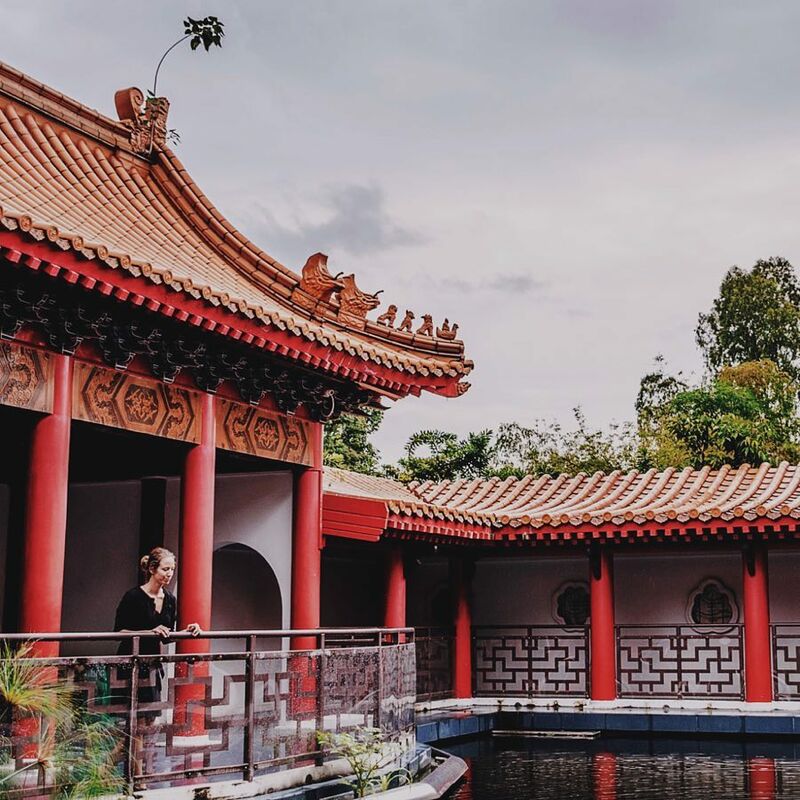 At the same time, you’ll be able to collect some prosperity points by standing among the red pillars of the Stone Boat and Tea House in Chinese Gardens — one half of Jurong Gardens. On the other end is its sibling — Japanese Gardens. Not all of the Japanese Gardens is red. That would be absurd. Actually, it would be quite spectacular. 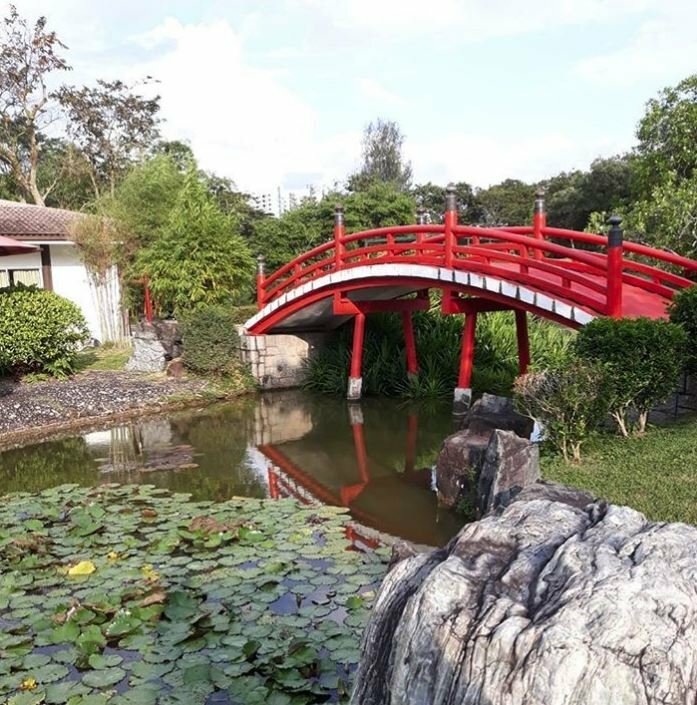 But lets get away from the ‘what ifs’ because the only red thing at Japanese Gardens is the red bridge. The bridge goes over water and water is good for fengshui, so standing on that bridge is probably good for fortune. Impeccable logic. 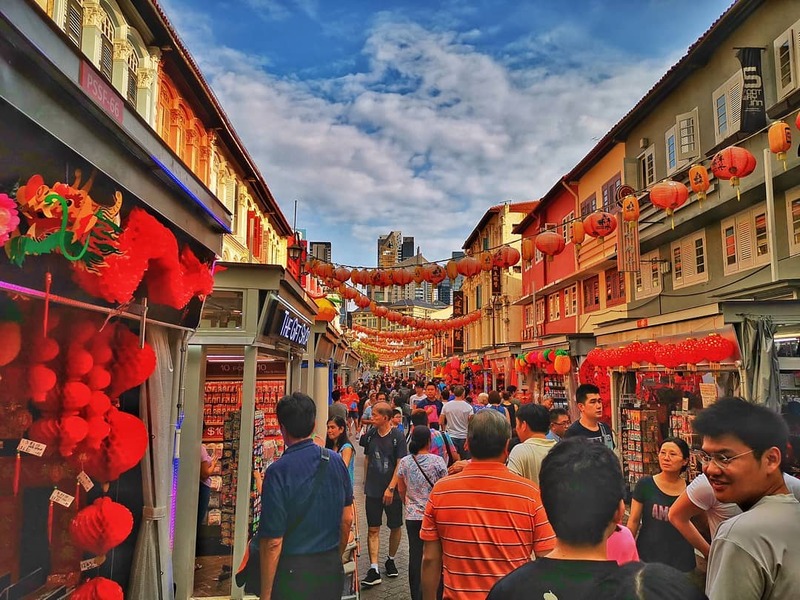 If all else fails – as in the case you’re just too lazy to leave home till CNY – you can visit the streets of Chinatown during CNY itself. By then, they should be glowing red with lanterns overhead. If cars, buses and motorbikes frighten you, you can head inside to Chinatown Street Market. You may suffer an elbow or two to the ribs because of the crowd, but that’ll be all worth it when you collect enough red decorations to clad your entire body. 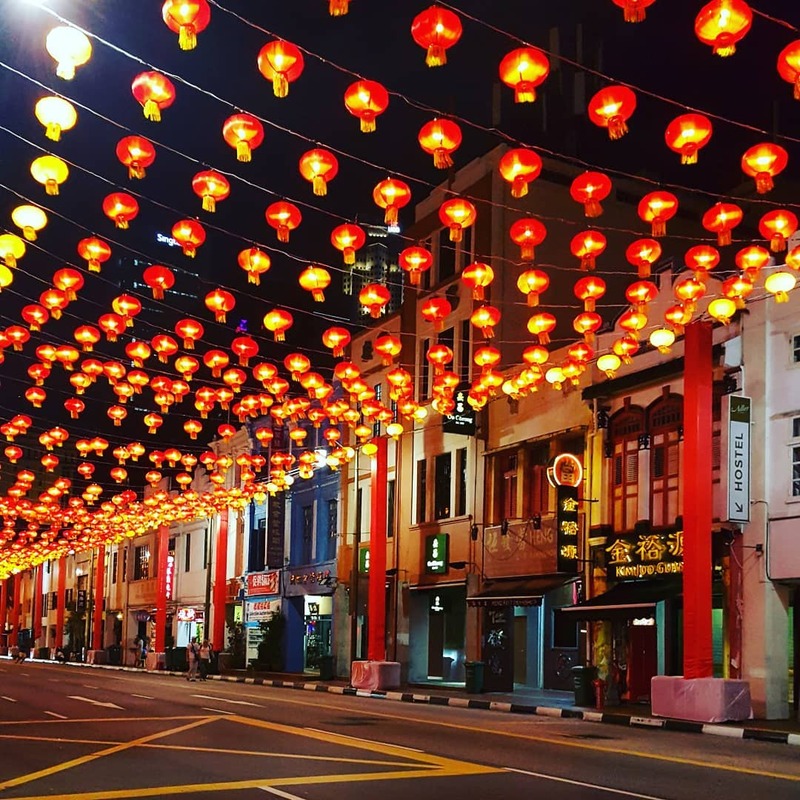 There you have it, the reddest places in Singapore for Instagram inspiration and whatever peculiar pursuits of prosperity you may have. Visiting all the places above will probably put you in the radar of the prosperity deities. So the question remains — how much ‘huat’ do you really need this CNY? MS News wishes you a prosperous new year. Featured image from @angelineeetan on Instagram and @happyladywarrior on Instagram.